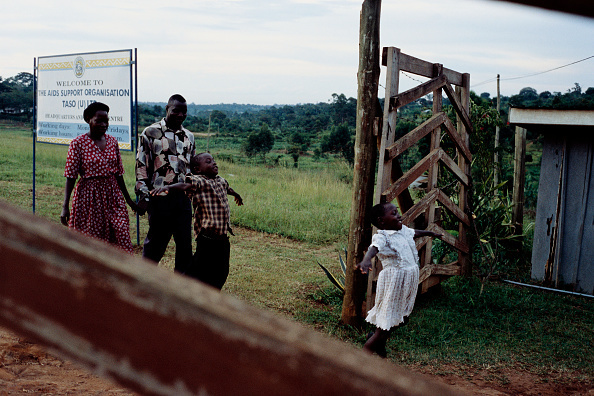 In 2001, the HIV/AIDS crisis in Africa had reached new heights. Death tolls were in the tens of millions. Hospitals were overwhelmed. And the infection rates continued to rise. The United States faced a choice: respond to a call for help or watch a generation of lives be lost. 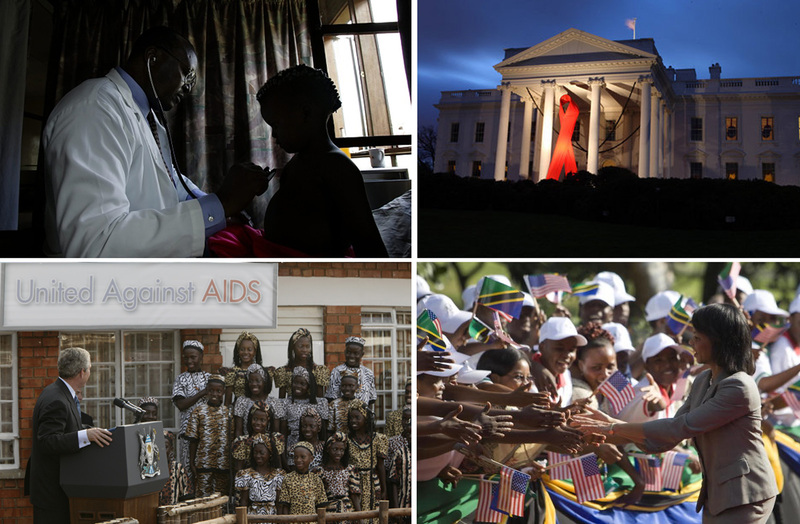 Photos, clockwise from upper left: Peter Mugyeni created a clinic in rural Uganda that became a model for healthcare delivery for PEPFAR (Marco Longari/AFP/Getty Images); the White House decorated with a red ribbon to commemmorate World AIDS Day in 2008; Secretary of State Condoleezza Rice greets the crowd as she arrives at the State House in Dar se Salaam, Tanzania on February 17, 2008 (Jim Watson/AFP/Getty Images); President Bush gives remarks at The AIDS Support Organization Center in Entebbe, Uganda on July 11, 2003. Fifteen years after the passage of the United States President’s Emergency Plan for AIDS Relief, what was once a death sentence is no longer one in Africa and other developing regions. Thanks to the generosity of the American people's investments in PEPFAR, along with the political will of national leaders and commitment of engaged stakeholders, people with HIV/AIDS are able to live long and hopeful lives. Incredible gains have been made in the fight against HIV/AIDS. Recent estimates place the number of lives saved so far at 17 million. But challenges remain. 1.8 million people worldwide were newly infected with HIV in 2017; new HIV infections are increasing in young populations; and people living with HIV remain vulnerable to other life-threatening diseases including cervical cancer and tuberculosis1. When we look back to the situation in the early 2000s — when saying that an entire generation of lives could be lost was no exaggeration — we realize how far we've come. And as importantly, that we need to keep going. In this oral history, compiled from multiple first-person accounts*, we take a look back at the decisions facing U.S. leaders — and how those decisions saved millions of lives. Accounts include memoirs, speeches, Congressional records, documentaries, conference speaking opportunities, written articles, and government updates from more than 40 speakers. Some quotes are adjusted slightly for clarity and abridged for brevity. Speakers are attributed by their title or role in the global AIDS response. 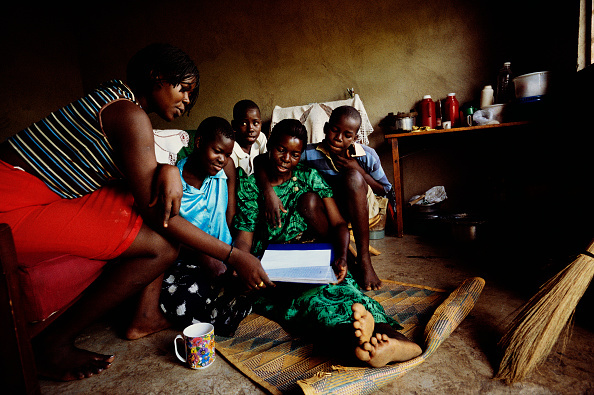 In the early 2000s, an estimated 36 million people were living with HIV/AIDS and nearly 22 million lives had been claimed.2 Without proper access to treatment and resources, AIDS was a death sentence. And while those drugs were available in developed countries, few in Africa had any hope of receiving treatment. "We really are in a national crisis. We are threatened with extinction. People are dying in chillingly high numbers. We are losing the best of young people. It is a crisis of the first magnitude." 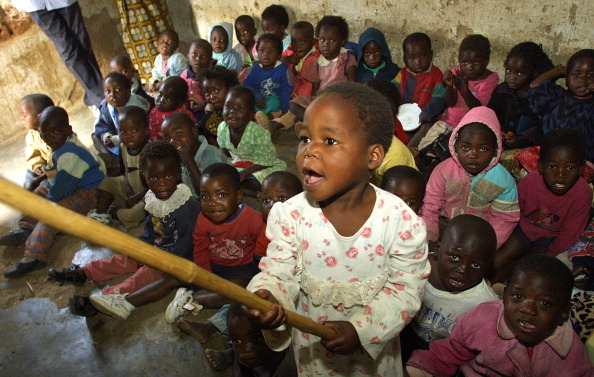 "At one point, 75 percent of pregnant women had HIV in Botswana. Most diseases kill the very old and the very young. But this disease was killing the most productive and reproductive parts of society. So not only were many households run by orphans, but entire villages were run by orphans, because everyone [else] was dead." 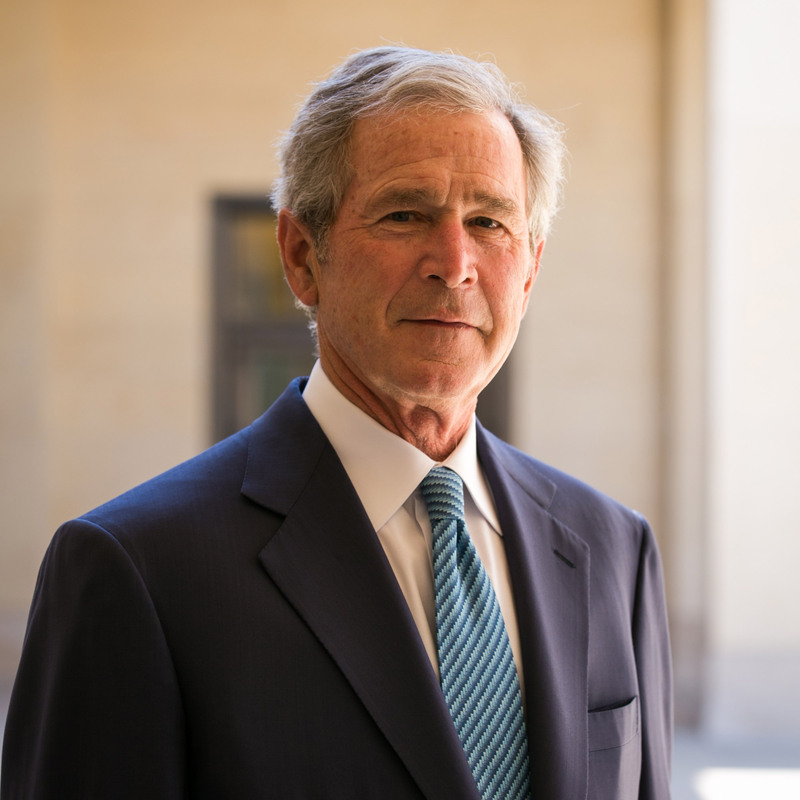 On May 11, 2001, President Bush announced action to fight the devastation across the globe by making the first contribution to the Global Fund to Fight AIDS, Malaria, and Tuberculosis. Joined by Nigerian President Olusegun Obsanjo and U.N. Secretary General Kofi Annan, he noted that “the sheer number of those infected and dying is almost beyond comprehension.” AIDS alone had left more than 11 million orphans in sub-Sahara Africa, and in several African countries, as many as half of the 15-year-olds could die of AIDS. “We have the power to help. The United States is committed to working with other nations to reduce suffering and to spare lives. And working together is the key…Our high-level task force chaired by Secretaries (Colin) Powell and (Tommy) Thompson has developed a proposal that we have shared with U.N. officials, developing nations and our G-8 partners. We will need ideas from all sources. We must all show leadership and all share responsibility. A year later, President Bush escalated the fight on HIV/AIDS. On June 19, 2002, he announced a new Mother and Child HIV Prevention Initiative, under The Global Fund to Fight AIDS, Tuberculosis, and Malaria that was intended to treat HIV-infected women with an antiretroviral drug to block transmission of the virus from pregnant or nursing mother to child. By building the healthcare delivery capacity, this new effort was expected to greatly expand the reach of care. As importantly, the administration set a concrete benchmark — as it would do with future investments. 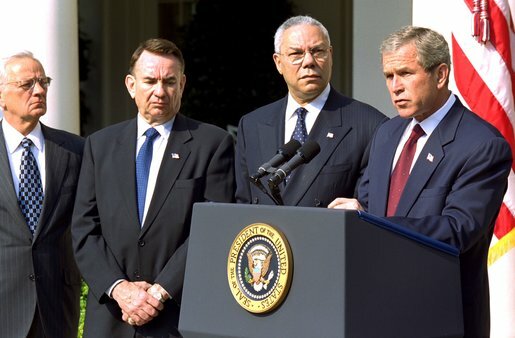 "President Bush sent (Secretary of Health and Human Services) Tommy Thompson and I, together with a group, on a fact-finding mission to various African countries to scope out what was going on down there. When we came back, he asked me to put together a mother-to-child transmission initiative, because it was just then that Nevaripene was shown in a single dose to mother followed by a single dose to baby right after birth had a major impact on blocking transmission from mother to child. "I made a proposal to the President... that a $500 million investment in mother to child transmission would be a very important contribution." "The wasted human lives… are a call to action for every person on the planet and for every government. So, today, my administration is announcing another important new initiative in the fight against HIV/AIDS. "The world was moving, but moving slowly. People weren’t thinking big. They were thinking a little here, a little there… no one was thinking billions… that we have to really get after this thing. We were thinking $500 million was a lot of money. But the President was thinking something much bigger." "President Bush thought the mother-to-child transmission program was a great start, but he wanted to do more to address the problem of AIDS in Africa. His exact words were, 'Think big.'" 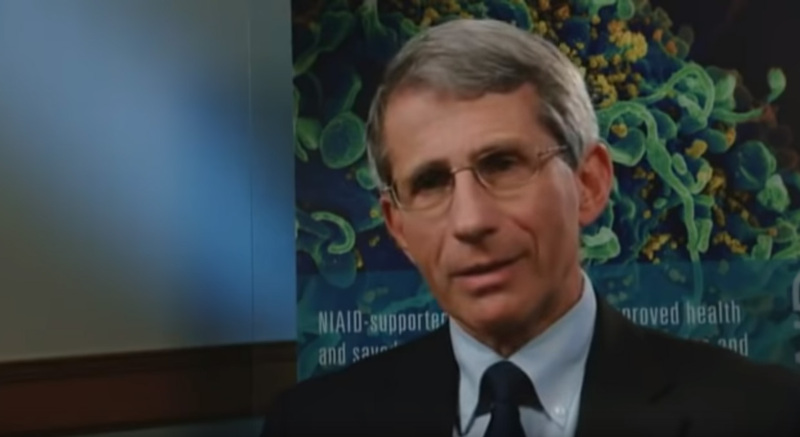 Video: Anthony Fauci recalls the early days of PEPFAR and the Global Fund to Fight AIDS, Tuberculosis, and Malaria in this video by HIV.gov. The HIV/AIDS pandemic continued to worsen. By the end of 2002, more than 40 million people were living with HIV and the death toll was rising, leaving more than 14 million children orphaned3. 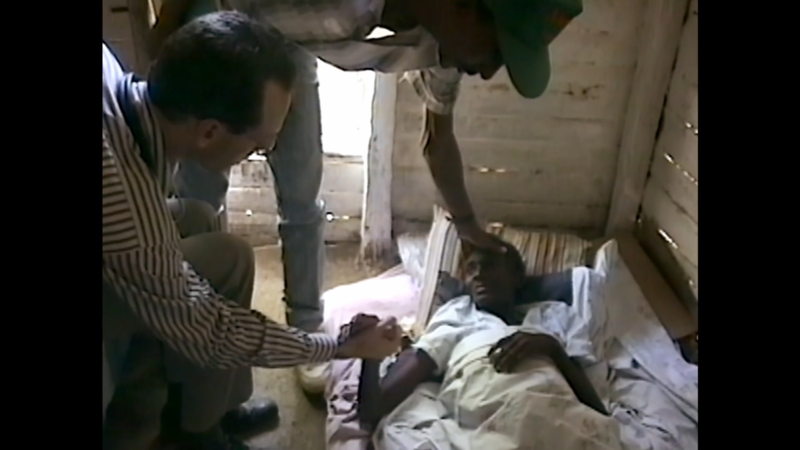 Hospitals throughout sub-Saharan Africa were overwhelmed by the number of people needing help. 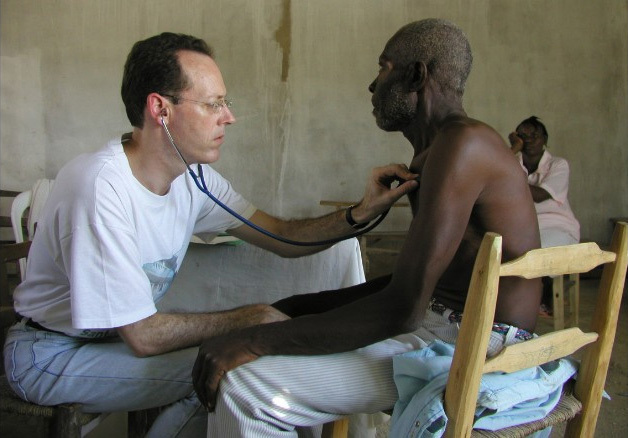 In the worst-affected countries, life expectancy decreased by 20 years. "President Bush told me, 'Make it something much bigger, I want a game changer for Africa. I want you to go and get multiple models and come back and work with the staff to see what we can do to really turn things around in Africa. I want it to be feasible, I want it to be implementable, and I want it to be accountable. I don't want to just give money to foreign countries and say go do it.'" To commemmorate the 15th anniversary of PEPFAR, Mark Dybul and Michael Gerson recall their experiences in its development with Barbara Bush and Agnes Binagwaho at The Lazarus Effect at Engage at the Bush Center, presented by Highland Capital Management, on May 9, 2018. Up to this point, Anthony Fauci and Mark Dybul had worked on clinical trials in Africa to research the feasibility of various approaches of delivering antiretroviral care. 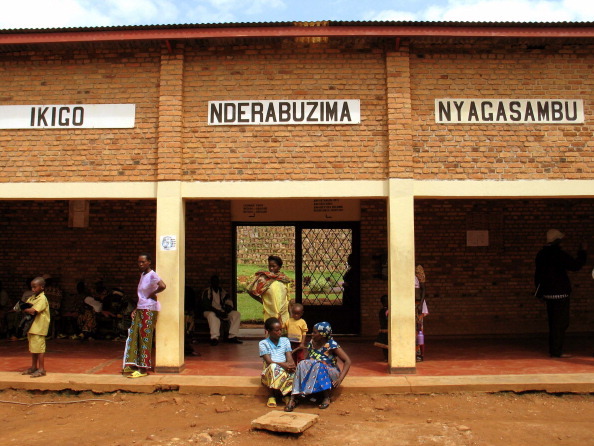 Modeled after a clinic in Uganda’s capital created by Peter Mugyenyi and a program in rural Uganda from the AIDS Support Organization, Dybul and Fauci formed the early versions of what would eventually become the foundation of PEPFAR. Planning in earnest for an approach that leveraged new developments in antiretrovirals that could prolong the life of AIDS patients began in August of 2002, with Fauci and Dybul making regular visits to the White House to work through details. In November, Josh Bolten asked Fauci and Dybul to provide a panel of experts that had real-world experience in delivering the drugs in developing nations. This meeting — whose topic was intended to be a surprise to its guests, though Fauci secretly gave them warning — would serve as final litmus test before White House officials made their recommendations to the President. “We don't have doctors posted in villages now where people are treated and monitored. We have community health workers, and they deliver a higher standard of care from what I have seen in many U.S. settings. In fact, we have introduced this same model with community health workers in Boston, in the shadows of the teaching hospitals, and we can do it much more quickly and efficiently than they do it here." In early December, a small team made their recommendations to the President in the Oval Office. After discussion, the President told them he was ready to announce a plan at the State of the Union address in January. The advisory team had moved quickly in part because it had moved quietly, dodging the bureaucracy of the federal government. "I was confident I could explain how saving lives in Africa served our strategic and moral interests. Healthier societies would be less likely to breed terror or genocide. They would be more prosperous and better able to afford our goods and services. 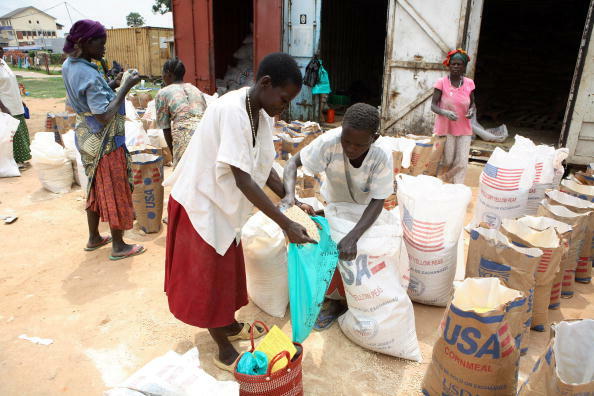 People uncertain of America's motives would see our generosity and compassion. And I believed the American people would be more supportive if we could show that their tax dollars were saving lives." 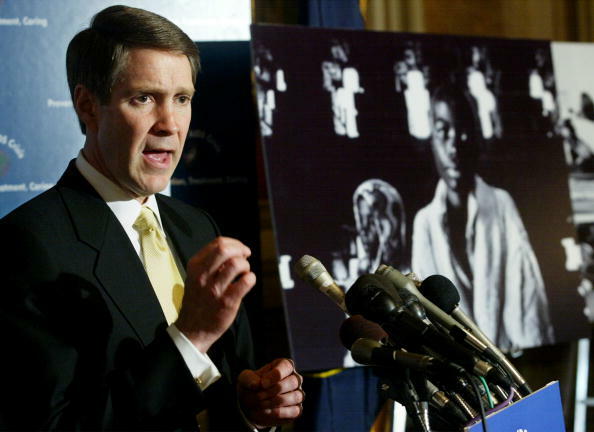 In 2003, with Dr. Mugyenyi at the side of Mrs. Bush at the State of the Union, the President unveiled the President's Emergency Plan for AIDS Relief (PEPFAR). In his speech, the President requested $15 billion for combating global HIV/AIDS primarily in fifteen countries, twelve of them in Africa. The plan was designed to prevent seven million new HIV infections, treat at least two million people with life-extending antiretroviral drugs, and provide humane care for 10 million people suffering from AIDS and for children who had lost one or both parents to AIDS. "Ladies and gentlemen, seldom has history offered a greater opportunity to do so much for so many. We have confronted, and will continue to confront, HIV/AIDS in our own country. 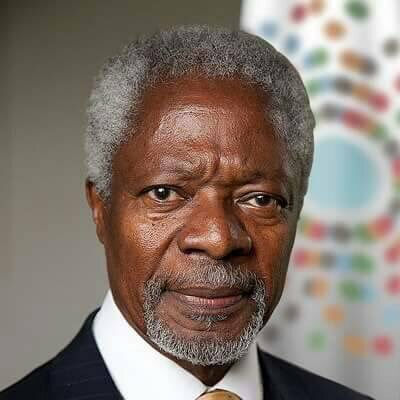 And to meet a severe and urgent crisis abroad, tonight I propose the Emergency Plan for AIDS Relief, a work of mercy beyond all current international efforts to help the people of Africa. 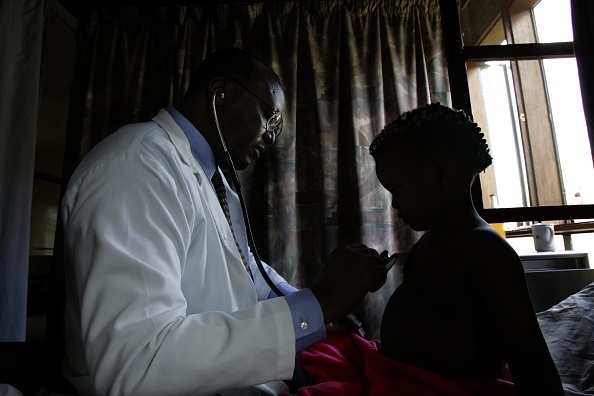 I ask the Congress to commit $15 billion over the next five years… to turn the tide against AIDS in the most afflicted nations of Africa and the Caribbean." President Bush had announced his plan – but now had to make sure that the American taxpayers and their representatives would be on board as the bill went through the legislative process. Both houses of Congress recognized the urgency of the matter, and the bill received bipartisan support. “I rise in strong support of this grand humanitarian legislation and I urge all of my colleagues to make history today by securing its passage." “This bill offers the beginning of real hope. This bill holds out the promise that some of those children will grow to be adults and perhaps have children on their own. I am convinced that, if we combine America's resources and technology and the great compassion of the American people with the courage and hope shown by (South African) Mary and so many others, we will defeat this disease. “History will judge whether a world led by America stood by and let transpire one of the greatest destructions of human life in recorded history -- or performed one of its most heroic rescues. President Bush has opened the door to that latter possibility. We must pass this legislation now and get this program established without further delay. The President's Global AIDS Initiative is a rare opportunity to enact legislation that will save hundreds of thousands – millions – of lives. 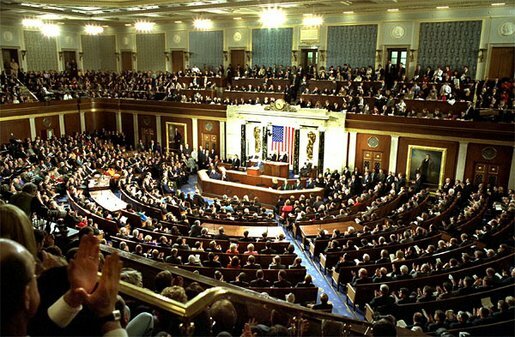 Video: The 2003 State of the Union address delivered by President Bush. PEPFAR was signed into law with bipartisan support in May of 2003. America would lead the way in addressing HIV/AIDS with PEPFAR, the largest commitment in the history of any nation for a single disease. It began by ensuring PEPFAR had the freedom and resources to be effective. By placing PEPFAR within the State Department of the U.S. government, it was ensured both programmatic and budget oversight of the HIV response across multiple implementing agencies including USAID, the Department of Defense, Health and Human Services, and the Food and Drug Administration. Those agencies each had different missions, but PEPFAR was able to harness diplomatic, developmental, and health expertise from across the government. 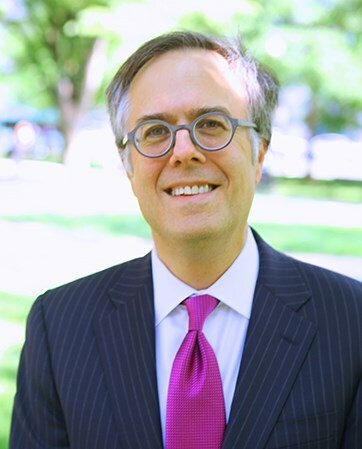 PEPFAR changed the development paradigm from donor-recipient to the ethic of a partnership; this required strong leadership to move from a fragmented response with various players to the oversight and coordination by a non-implementing entity of multiple budget lines across several implementing agencies. In support of PEPFAR, President and Mrs. Bush traveled to Africa multiple times during, and since, their time in office and saw the effects of the HIV/AIDS pandemic firsthand – as well as the hope brought through progress. “Laura and I had met Mohamad in Entebbe, Uganda, at a clinic run by The AIDS Support Organization (TASO). Like most suffering the advanced stages of the disease, Mohamad was wasting away. Intended as a medical version of the Marshall Plan after World War II, the intent of PEPFAR was not to simply send money overseas. 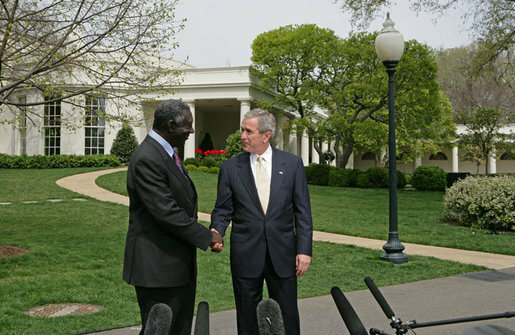 Key components of PEPFAR were its innovative methods of delivering aid as Fauci and Dybul envisioned it, including its partnerships with the countries involved. “The traditional model of foreign aid was paternalistic: A wealthy donor nation wrote a check and told the recipient how to spend it. 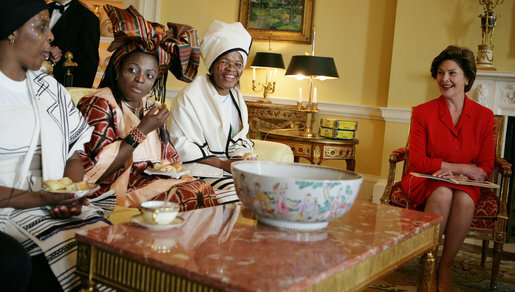 I decided to take a new approach in Africa and elsewhere in the developing world. We would base our relationships on partnerships, not paternalism. We would trust developing countries to design their own strategies for using American taxpayer dollars. In return, they would measure their performance and be held accountable." 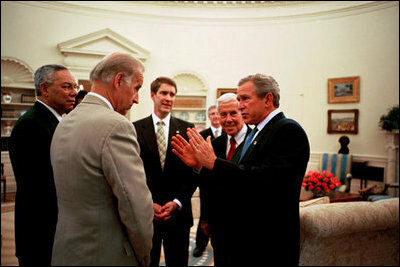 Marked results were not seen immediately, as predicted by the plan President Bush put forward. Early foundation building such as strategizing, mobilizing manpower, and building infrastructure were necessary first steps. But by the end of 2005, the numbers started to quickly ramp up: 401,000 individuals were receiving antiretroviral treatment in the 15 focus countries of PEPFAR, leading to 319,950 estimated cumulative years of life added by 2009; 1.7 million individuals were receiving care, including 630,000 orphans and vulnerable children; and 6.6 million individuals received counseling and testing – more than double that of 2004. “I forget that I have HIV, I feel so well. Then I hear it is World AIDS Day and I remember, that includes me! I tell [those newly diagnosed with HIV], look at me! I am well. Don’t worry, you can be healthy and carry on with your lives."